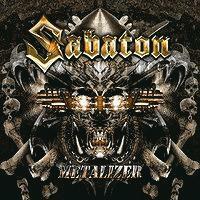 I find difficult to rate this album because it doesn't add anything new to Sabaton's catalog. In fact, it is just a re-release of their first demo with a new mix, but, and this is what I find strange, it adds as a second disc the original demo. The material is as great as the demo has always been, but I don't see the point in selling a double disc with the same songs. Redundancy is a quality that cannot be rewarded.